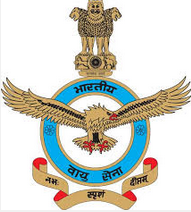 Applications are invited from the eligible Indian Citizens for the Group 'C' civilian posts of Multi Tasking Staff (MTS) and Mess Staff in IAF, Air Force Station Race Course, New Delhi - 110003. Other details like age limit, educational qualification, selection process, application fee and how to apply are given below. MTS: (1) Essential - Matriculation pass or equivalent qualification from a recognized Board or university. (2) Desirable - One year of experience as watchman OR Lascar OR Gestetner Operator OR Mali from an Organization OR Institute. Mess Staff: (1) Essential - Matriculation pass OR equivalent qualification from a recognized Board Or university. (2) Desirable - One year of experience as Waiter OR Washer-up from an Organization or Institute. The completed application addressed to Air Officer Commanding, Air Force Station, Race Course, New Delhi - 110003 shall be sent only by Ordinary Post Only.